I hope by now you know Anne from Love the Here and Now. I did a Q&A with her earlier this month (which you can read here if you missed it), and have loved following her and her blog for the past year. And if you blog, or want to blog, she has some of the best blogging tips anywhere on the internet. People often ask what the toughest part of offering sponsorships is. For me, without a doubt, the answer would be staying organized. If you are not organized, sponsorships can be a nightmare. People are paying you for a service and you owe it to them to follow through. Keeping track of highlights, blog takeovers, and other services you offer is crucial. Today I am sharing one of the things that has helped me most; using Google Drive to stay organized with sponsorships. I have both a blog and personal gmail address. I love all of the options that gmail provides; Blogger, calendars, hangouts, and more. Google Drive allows you to create spreadsheets, forms, and documents. All of your information is kept in one place and can even be shared and edited by others. Google forms are a wonderful way to request and store information from your sponsors. Log into your google account and click on the grid in the upper right hand corner. There you can access all of the wonderful things available to you. Click on Drive. Under the "Create" tab you will find a drop down menu. We will be working with forms. Each form is customizable. Google offers several themes to choose from or you can upload your own design. Once you have chosen your theme, it is now time to create your form. Each sponsorship spot I sell has its own options. For example, some ads come with sponsor highlights so on my forms, I ask the questions that you see on my highlight posts. The forms allow you to ask open ended questions or multiple choice questions. It's also nice to add a quick note to your sponsors at the top of the form. Here's a glimpse of one of my forms. I created a form for each ad spot I sell, as well as a sponsorship survey that I send to my sponsors after their ad ends. Getting feedback is key to improving your sponsorships. You may be wondering, how do your sponsors get the forms? Easy. When your form is complete and you open it, in the upper right hand corner is an option to send the form. Click on that and you will be taken to this screen. I simply copy and paste the link into my welcome email sent to each new sponsor and send it. Each time one of your sponsors fills out the form, their answers are recorded in a spreadsheet. You can access the responses by going into each form. You will see exactly how many people have responded. Click on "View Responses" and a spreadsheet will open. You can also set it up that each time someone responds to the form you will be notified via email. What has helped keep you organized with your sponsorships? I hope you'll hop on over to Feast + West and visit me today. 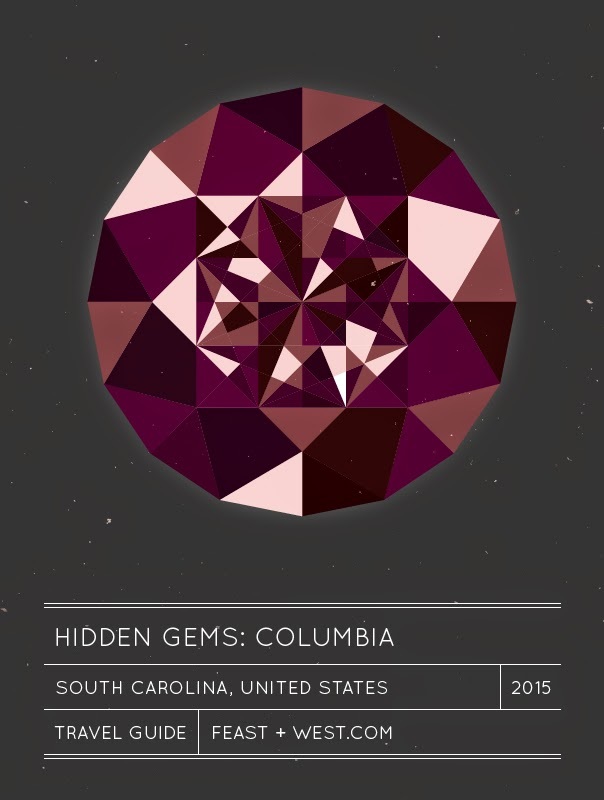 I wrote a travel guide on Columbia for her "Hidden Gems" series. Go check it out! It's not something I blog about regularly, but I currently take medication for anxiety. (Who's with me?!) For me, a panic attack was the last straw, and I asked Spencer to make a doctor's appointment for me. I have felt quite a difference, but I still have days (or weeks) where I can get overwhelmed, anxious, and lose perspective. During these times, I have to find a way to cope. I have developed a few mechanisms that seem to work well for me, and want to share these in case any of you are experiencing these same feelings and need some help. I know it sounds cliche, but it really does help. The trick, however, is to do it correctly. When you inhale, do so through your nose. Also, your stomach and chest should be taking in oxygen with each inhale and in turn should expand (you should see your chest visibly move). When you exhale, do so through your mouth, slowly, and try to exhale all of the air from your lungs. This will take longer than a typical inhale+exhale. If you are in a position where you can also close your eyes as you do this, do it. Try not to focus on anything but your breathing. Briefly remove yourself from whatever is seeming to trigger your anxiety at the moment. If it's work, kids, a public place - get yourself alone for a few minutes. Take a walk, close your eyes, shut your door, listen to a song - find something to do that can clear your head and calm you down. There have been instances when my anxiety returns when I put myself back into the situation, but even a moment away is helpful. Often times, we get so wrapped up in our current situations that we forget what is truly important. Is work overwhelming you? Ask for help and remember that the projects will pass and so will the day. Are your kids running wild? Imagine them in 5 or 10 years, and how much you'll miss the craziness - even in the insane moments! A trick I've found helpful is to talk to Spencer - he is great at talking me down, and reminding me that what I think is a huge deal and completely overwhelming, is in fact not very important in the grand scheme. It's wonderful to have someone I trust who can be completely honest with me, while also letting me talk and express my feelings. 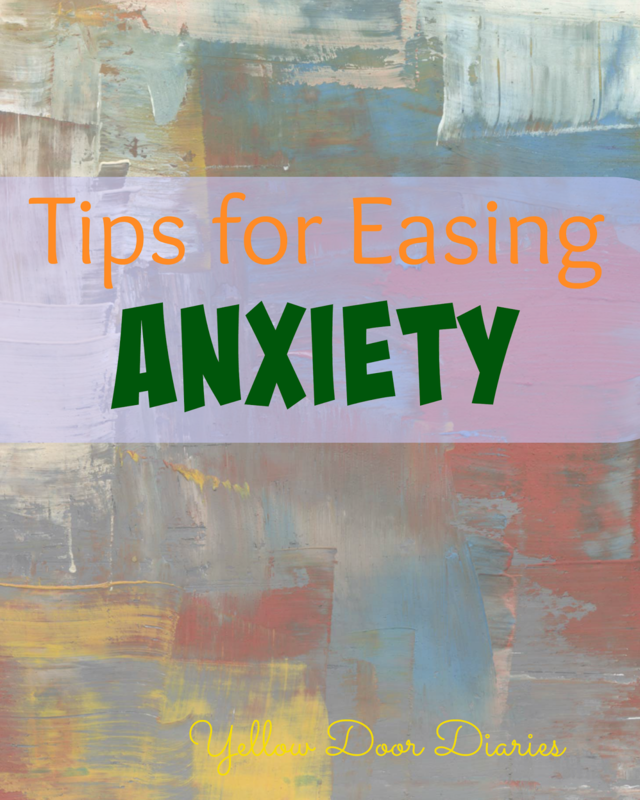 I'd love to hear any other suggestions, tips, or tricks you have on reducing anxiety. This seems to be an ever-increasing topic among people, so anything you can offer would be helpful to me as well as to others reading! Definitely hop on over and check out the second part of the "Making Pinterest Work For You" series by Love the Here and Now is live TODAY - Finding and Joining Group Boards. Don't miss it! AND - I'll be popping in on Feast + West tomorrow with a travel guide, so don't miss it! As a teenager (or even younger for most of us - now people wouldn't even consider letting a 12 year old watch their children! ), I had my turn at babysitting. I was never an every-weekend type, but here and there a coworker of my mom's or a neighbor would ask me to watch their kid(s). I was pretty shy, particularly when it came to being in someone else's home. By myself. #awkward. 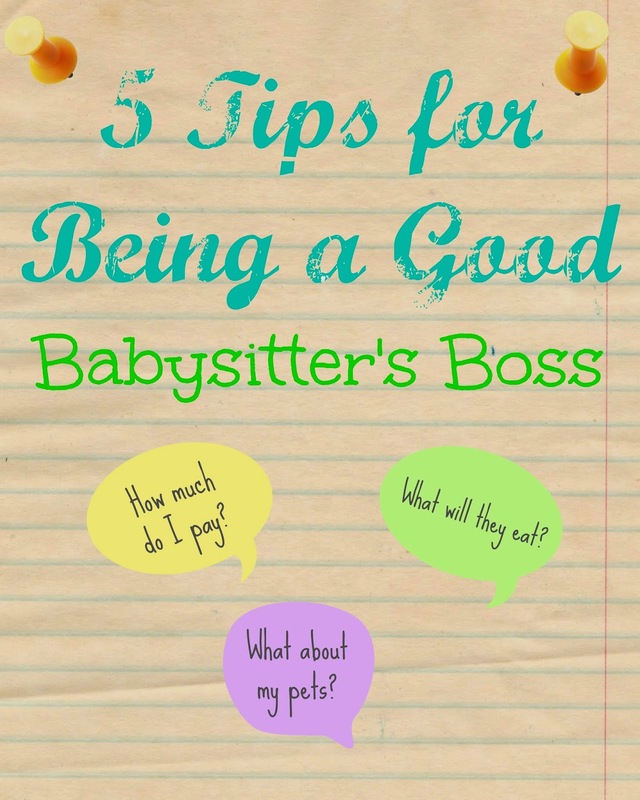 If you're at the stage in your life where you are hiring babysitters, here are five ways to be sure you're being a good babysitter's boss (I use "boss" for lack of a better word, since you're the person paying for the service). 1. Feed your babysitter something specific. Don't tell them "help yourself." While it's very generous and genuine of you to say so, many people in your home don't feel comfortable rummaging through your pantry and refrigerator for food. Instead, make them a specific meal if they're staying during mealtime. Having them make a frozen pizza is fine - just let them know what you intend for them to eat. If you want to welcome them to snacks, leave a basket of snacks to choose from out on the counter. That way it is all in clear sight, and they don't have to go looking through your cabinets and other things. 2. Leave written instructions for anything that might be confusing. Sure, you'll walk them around and give them instructions before you leave, but your babysitter, particularly if it's his or her first time in your home, will likely not remember everything you say. Instead, if you need to instruct them on how to operate the 16 remotes to your TV (so they can occupy themselves when the kids go to bed), leave instructions on the coffee table. Have a security alarm? Definitely leave instructions for this. Some people may panic at the thought of accidentally setting it off, so having something to look at to arm/disarm is great. 3. Disclose any pets up front. Usually, babysitters won't mind terribly having to feed a dog or your goldfish. There are instances, however, when this could be a problem. You definitely don't want to wait until he or she shows up to your house to figure this out! Some may suffer from allergies (like myself - very allergic to cats! ), while others may have a fear of certain animals. Sometimes, the animal itself may be welcome, but your specific animal may be too much for them (sorry, but you know who you are. Sometimes animals are just out of control and it's only endearing to you!). It's not fair to ask them to babysit one child, when the animal makes it feel like 3. Just be considerate. 4. Be home when you say you will. This one is important. Not only is coming home on time important, but you don't know what else your babysitter has planned for that day or night. It is not fair to assume that they have blocked off their entire night for you and your children, when they actually may have plans to meet with a friend, or to go home and get some school work done. Just as you would always be on time for business meetings or doctor appointments (or at least call with an apology if you know you're running late), your babysitter deserves the same courtesy. 5. Don't ask your babysitter what they want to be paid. Aaaawkward. Sure, this is a dream question for us to be asked at work, but for a 15 year old, they want as much as you'll give them! Duh. Odds are, however, they'll probably ask for too little. And you don't word getting around that you're the parents taking advantage of cheap labor. If you're hiring babysitters, it's your responsibility to keep up with what the average hourly rate is in your area. Talk to other parents that you're comfortable with, and ask what they pay on average. I know that seems to be a personal question, but this is something you'll want to stay on top of if you want to find ready and willing people to come watch your kids when you need them. Also, be sure to pay extra when warranted. These instances could include: asking them to watch a pet; if they end up watching the neighbor's kid, too; if you arrive home late; if you expect them to tutor your child during homework; if you ask them to do household chores; etc. These tips are taken from my experiences growing up, and trust me, my friends and I did talk about our experiences babysitter - the good, the bad and the ugly. We wanted to let others know when they should turn down a job for various reasons, so be sure that you're making your babysitters feel comfortable and valued. They will return the favor, trust me. And if there's ever anyone you want to treat well, isn't it someone who keeps your children safe and cared for when you can't be there to do so? What other tips would you add for parents? It's Anne from Love the Here and Now! If you aren't yet familiar with her blog, then (1) where have you been and (2) get your booty over there and check it out! Anne is a blogger I've looked up to since I started this little hobby of mine, and has really helped me learn the ropes! YDD: Who in your life do you most admire? Why? LHN: My mom! She is the most self-less person I know. I can count on her for anything...support, honesty, encouragement, help, and a laugh. I grew up without any extended family around us. I know it was hard to be away from her family but she made the most of all of our holidays and birthdays. She has become the type of grandparent that she always wished we had had growing up...present at everything and so involved in their day to day lives. She's a blessing to our family. YDD: Name one new skill you'd like to learn. LHN: I would love to learn web design! I would love to be able to create anything I wanted on my blog and develop new blog themes. I think that type of creativity is wonderful. YDD: What is your all-time favorite book? LHN: My all time favorite book is My Sister's Keeper by Jodi Picoult. YDD: Do you have any siblings? LHN: I have 2 older brothers. Not only am I the "baby" of the family but I'm also the only girl, a double whammy! YDD: If you could meet up with anyone for coffee, living or deceased, who would it be? LHN: Oh gosh...tough question.....How do you choose one person? Hmmm.....I would say my dad's mom. She passed away when he was in high school. I would love to meet the woman who raised my father. YDD: Describe your perfect Saturday. LHN: My perfect Saturday could be described in one word: lazy. I would lounge throughout the morning and linger over cups of tea. I would head out to lunch with my family and catch up over a leisurely lunch. In the evening I would love to have our friends and their families over to relax and hangout. The kids would be entertained and the adults could catch up over drinks and laughter. YDD: What was your first email address or screen name? YDD: Name one item you carry with you everywhere, all the time. LHN: Sad but true...my cell phone. If I leave home without it I feel a sense of panic....how can my daughters get ahold of me if they need me? What if I get in an accident and need to call for help? I forgot what it feels like to be detached from technology. My phone has become an adult version of a security blanket. YDD: Do you have a guilty pleasure? If so, what? YDD: Why do you blog? LHN: If you had asked me when I first started I would have said to share my life and to create a journal of sorts for myself and daughters. The longer I have blogged though my answer has evolved. I still blog for that reason but for so many other reasons as well. The blogging community is wonderful so I blog to be a part of that and to nurture my online friendships. The creativity aspect is amazing so I blog to flex those creative muscles that I rarely used before. The learning curve is huge so I blog to educate myself and to teach myself new skills. Blogging has given me self-confidence. It truly has been such a gift. Thanks, Anne! Don't you just love her? Go say hello! Visit Love the Here and Now. The time where flowers bloom, birds chirp, and children play. It's also the time where pollen coats everything, sunlight points out every fingerprint, and grass and dirt get tracked indoors. Thus, the ever-dreaded SPRING CLEANING. I don't generally subscribe to a cleaning schedule, but rather clean things as they seem to need them. As I seem to be getting behind on my housework these days, the idea of a schedule is looking better and better. 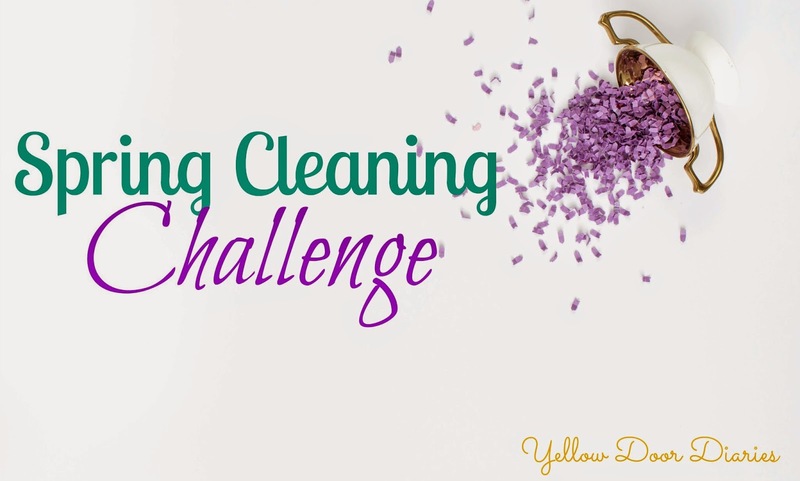 I pinned this post from Lisa loves John a while back, and think I will need to take part in this 30 day cleaning challenge. Starting Monday, April 13th, I'm going to do my best to get through this entire month of "Spring Cleaning." If I need to miss a day (because I'm out of town or something), I will double up another day to get it done. Want to join me? Post it, tweet it, insta-it...let me know! I'd love the encouragement - and some pictures of some beautifully clean homes! Do you know Rachel from Our Yellow Door? Well - the news is finally out! Rachel and I originally connected on Twitter, when we realized we both had blogs about our yellow doors - how funny is that!? Well, pretty soon we were tweeting back and forth, and I fell in love with her sweet blog. She is fun, down to earth, and a great writer. 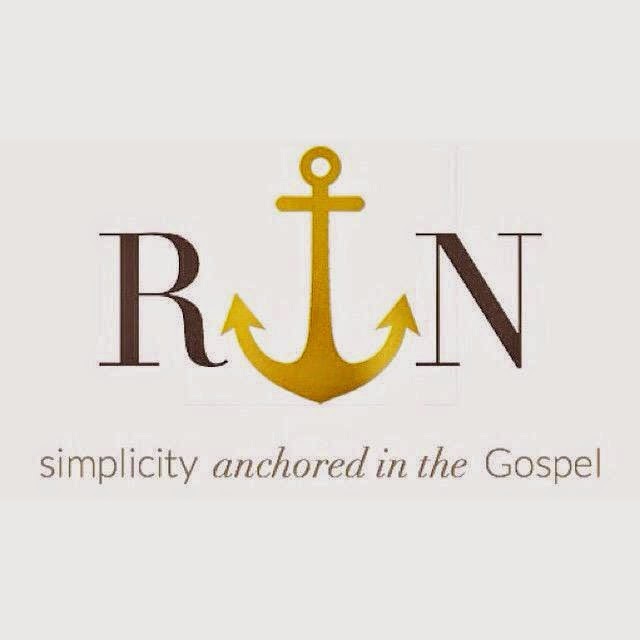 If you don't know Rachel yet, you are totally missing out! Her new site, Rachel Nordgren, is stunning! I think it captures her personality perfectly, and it's obvious how much time and effort went into creating this gem. The site itself is lovely, yet simple - just like Rachel! She loves to write about simplicity and uncomplicating things. In fact, she has a series called Simplified Series where she shares awesome tips (and I feel pretty confident in saying we all could use help in this department)! I'm so excited for you, Rachel, and look forward to keeping up on your brand new, beautiful site! Go say hello, check out the site, and follow her blog! PS: Did you see Monday's post and take a guess which option was a lie? WELL - the lie is #1! I never got suspended - I hate (and always have) getting into trouble. Suspension would have killed me! But yes, I used to sleep outside of my family members' bedroom doors (I don't know why), and I do always check behind shower curtains. Too many scary movies, maybe!? I'm not sure how the weather is where you are, but the past few days in SC, we have enjoyed some afternoons in the mid-70's, and it's been glorious. Finally, the weather is at a point where I can get outside and get my hands dirty. One of my favorite spring activities is caring for the lawn. It's one of things that you can really enjoy the fruits of your labor, and it's instant gratification! Who doesn't love that? I love getting those nasty weeds out of the ground, cranking up the lawnmower and making the grass pretty, edging to get it all pristine, and finally blow all of the scraps away with the blower. It's relaxing and enjoyable! I just have to be sure I lather up in sunscreen. When the weather warms up, I just start itching to get out there and getting to work. 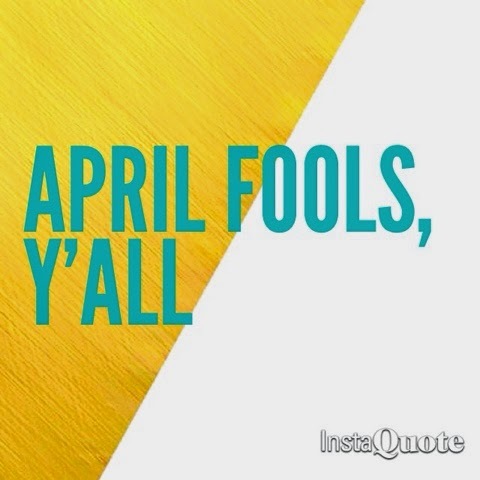 Well, APRIL FOOLS, y'all. Puh-lease. If you know me, you know none of this is true. I'll plant some things that will hopefully look nice, but I have cut the grass once in my life, and that resulted in blisters on my hands. 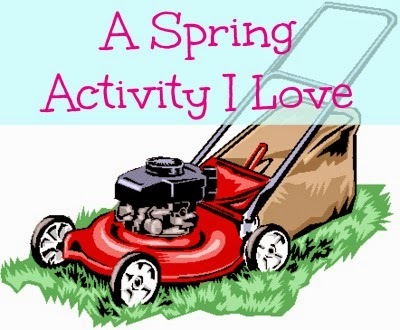 I do, however, love sitting in the sun and watching Spencer mow the lawn. That man looks good with tools and yard equipment! Hubba hubba. Happy Hump Day AND a happy birthday to my friend and work buddy, Kristi (no April Foolin')!